Heart Attack is a month long course that gives you the opportunity to transform your personal limits into strengths and maximize your full potential. The aim is to give you practical tools and direction to achieve your optimal way of life, whatever that is uniquely for you. It is these experiences within our safe, supportive environment which will raise your self-awareness, awaken you to self-love and empower you with the capabilities to accomplish any goal. The process can help you to live in closer alignment to who you really are and help you find the balance you’ve been looking for. 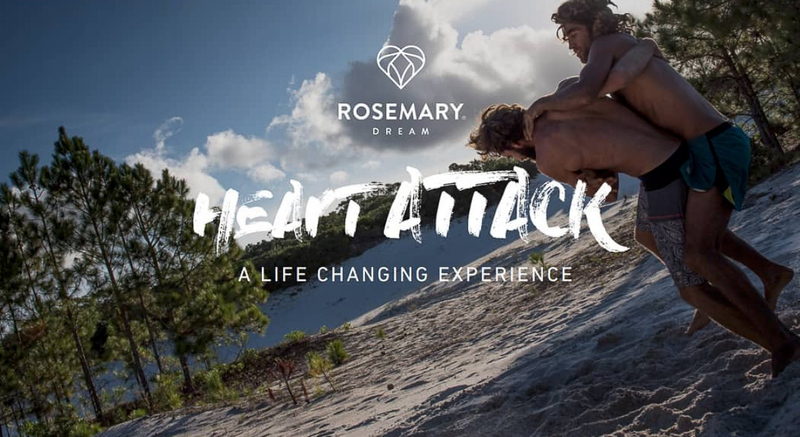 The Rosemary Dream Team act as your personal coaches, challengers and supporters, there to guide and grow with you. Heart Attack can be the most extraordinary month you could ever imagine… the choice to make a change is yours.